Of course it’s all subjective… just like how ”genuine” an accessory can be when the original Saab designers didn’t include it in their car design. The lightbar this article talks about looks fine to me, as it’s something that fits naturally in the car’s design. It’s just the decision to make it light up which does not seem so Saabish to me. The car will pass inspection. The LED-bar hasn’t a brake-light function original. The brake-lights is located in the tail-lamps, 3rd brake-light is located in the rear window. There has been some discussion among the 9-5 fans on fb that the lightbar circuitry has not been built to handle the high currency being fed into the circuit. Will the car pass inspection without that appendage working? If not, is there any option to mount some other brake lighting instead, that’s economical? I think it looks better without a lit lightbar… more Saabish. Wow—-if it’s not necessary for safety or inspection, I wouldn’t put a nickle into fixing one. That’s me—-I do understand others would like their car to be 100%. But looking ahead, these cars are going to become more and more expensive to keep on the road. This seems like a gratuitous feature to me—-and typically, I don’t like the look of lightbars on cars. I prefer not having them. It’s a sad state of affairs. I have a GM era (2004) so hopefully I won’t have quite the same sort of issues. I know parts will eventually become scarce—-but I’m hoping things like computer components remain viable since it was shared with other GM cars. Now finding someone who knows how to work on Saabs and who wants to—-easy now, but might become more difficult later, the longer I keep the car. Right now, it’s low mileage and running like a champ, also in great cosmetic condition as it’s been garaged since new. I hope to hold onto it a good while longer. The only thing that would get me to dump it would be a bad accident or a really expensive repair. hope that you can enjoy that fine car for a very long time. If you just drive the car for fun then you normally must be able to keep her for so many more years. I am driving my second one but she has now also already more than 90.000 KM. Like you stated; hope to avoid serious damage or an expensive repair. So far so good and I continue to drive her daily. Love, love, LOVE that yellow one! At least one of these might have been in the Washington, DC area years ago—-I believe I remember seeing one. 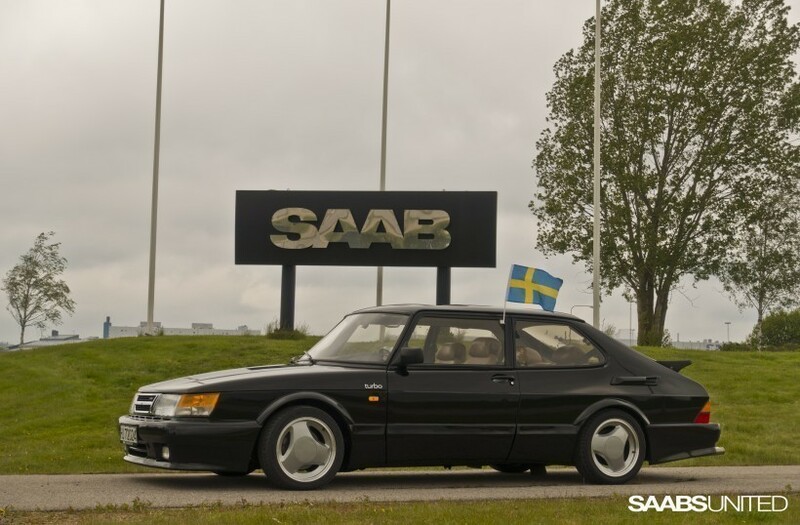 This area was one of the larger Saab markets in the U.S. because of the large international population. The cars aren’t the only beautiful thing in these photos—-the countryside is spectacular too.